Burning Moon's Inside advice: Project Decals Giveaway & Review! I used to avoid putting decals on my car because I thought it was bad luck, but that was just due to both of my first cars not being the best cards in the world and just happened to break down shortly after putting a decal on the back. Now that I know I have a reliable car I don't mind putting a few decals on my car but I am picky about what I put onto my back window, I currently have three but recently decided to add another since one of the decals isn't made from the best material so I need to peel it off. 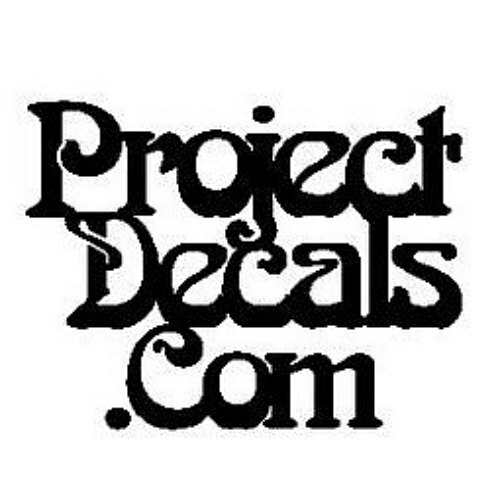 I recently found a shop on Etsy called Project Decals and they had a huge selection of decals that caught my eye, there were so many neat and fun decals I wasn't sure what to pick when she asked what I'd be interested in reviewing. I provided her with a small list of those I thought were awesome and told her to pick which to send, not only did she provide me with my small list but she also sent me a custom decal with my blog url on it. They all look so great in person, none of them appeared to have any kind of imperfection and they are all pretty adorable. These decals can be used on a number of things, you can add them to your car window, your laptop, your computer desk, etc. A few of these were meant for other people so I am saving them for the holidays so I will talk about the Stitch decal. I love Stitch, he is one of my favorite Disney characters and I really like how she used a hibiscus flower as his heart. 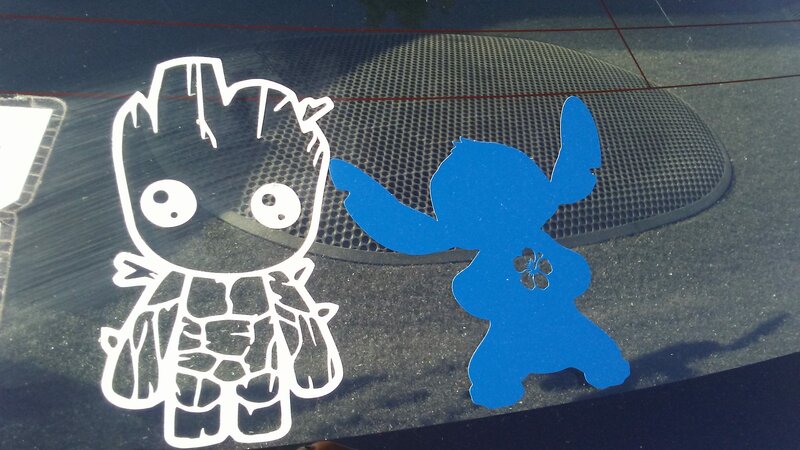 I asked for a blue stitch because well he is blue, though I do slightly wish I asked for a brighter color such as white instead so he would stand out against my dark car windows better but he is still noticeable and looks great next to my baby Groot. The vinyl she uses is the perfect thickness for car decals, it isn't thin enough that it will get shriveled up and start peeling itself off of your car like my other decal I mentioned above. The backing peeled off without any issues and the decal went smoothly onto my window, I used my debit card to help smooth it out as I was pressing it against my car to help smooth out any air bubbles that might occur. This decal went on a long road trip with me, has been in a rainstorm and more since I put it on and it still looks brand new. I am very happy with this decal as well as the others. All of her decals are well made and doesn't cost an arm and a leg which is a big bonus plus she makes dozens of decals that suit different fandoms and likes so there is something for everyone in her shop. One lucky winner is going to win their choice of $15 worth of decals. Giveaway entry question: Please leave me a comment letting me know at least one decal you'd like to own from Project Decals. I absolutely LOVE the Harry Potter Decal that says "I Solemnly Swear that I am up to no good"
One of the decals I'd like to own is My Little Pony Friendship is Magic Midnight Moon Decal. There are a lot on there that I really like. The Last of Us Firefly Die Cut Decal. Battlestar Galactica Decal. Serenity Logo Firefly Series Decal. Yoda from Star Wars "Pass You I did" decal is really cute too.